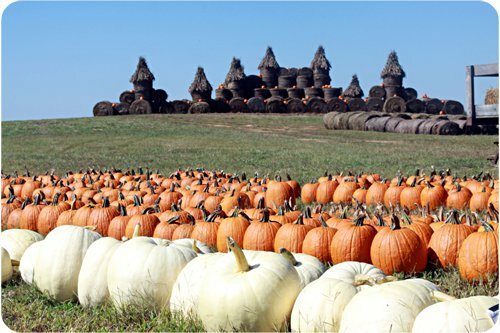 "A one-of-a-kind pumpkin patch experience!" View more photos of the adventure here. Check this website or Facebook for Pumpkin Hunt opening and closing information. Directions: 10 miles east of Gretna on Rt. 40; south on route 640 (Riveville Road); 1/4 mile; pumpkin patch on right. Weekday and Evening groups (after 5:30) by appointment﻿. Concessions are available on Saturdays and Sundays, but you may pack a picnic lunch. Admission: $10.00 per person. The admission price includes a 3 tickets for each person that can be used towards pumpkin purchases or *activities. Cash and checks only. We're working on accepting all major credit and debit cards. We'll keep you updated on this progression as soon as we can.